Happy Friday! The weekend's here and I couldn't be more excited! 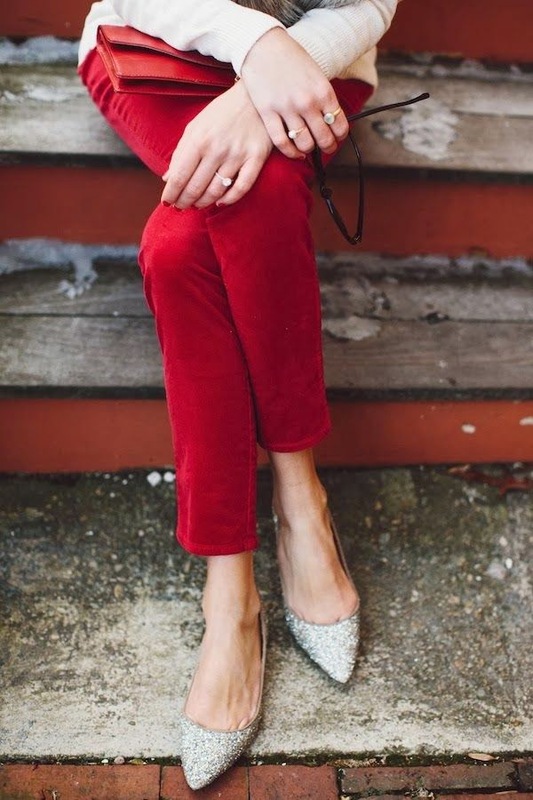 Along with wrapping gifts, baking Christmas cookies and heading to see the big sparkly tree in NYC, I'm also adoring all of these beautiful holiday looks. From casually glam to chicly understated, these are some of my favorite ways to dress throughout the season. 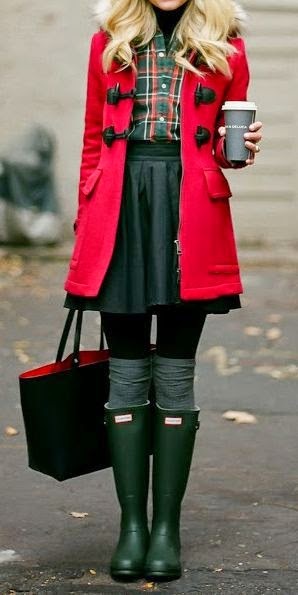 I've been a little bit obsessed with red lately and am loving it everywhere from lips and nails to sweaters and boots (yes, these Hunters have more than caught my eye). This sweater is also a great option to have at the ready. 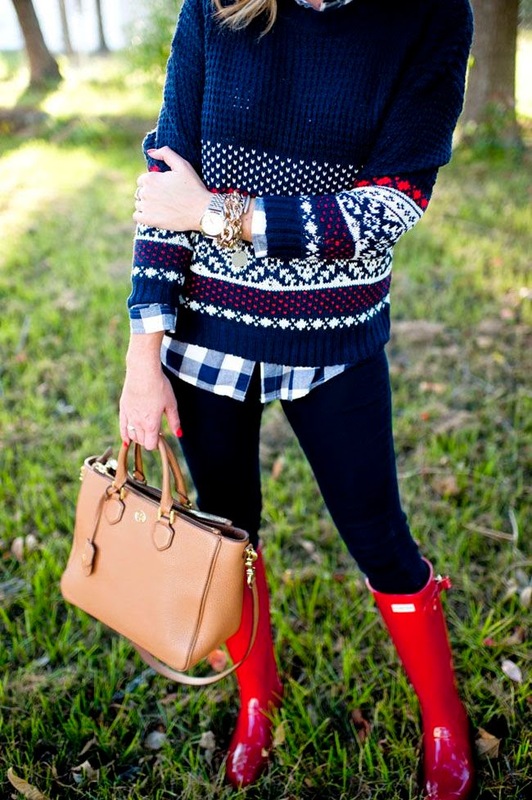 I love its chunky texture and boyfriend feel, so cozy! 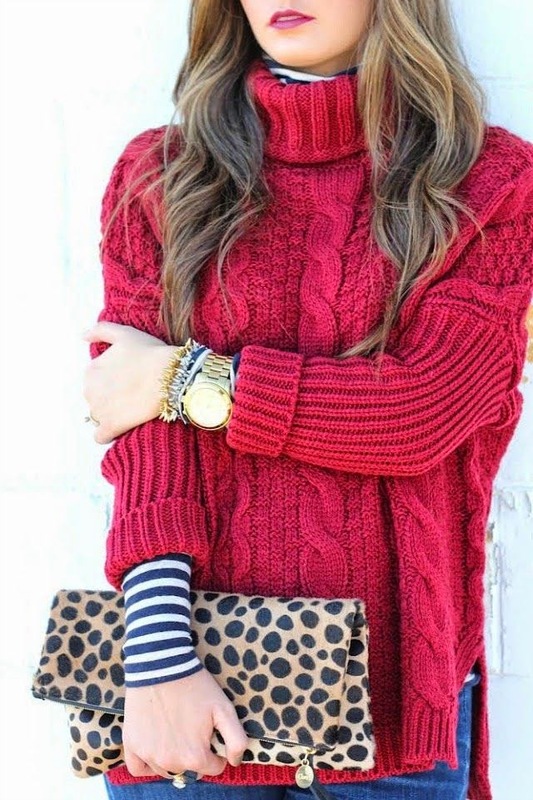 Pairing it with layered stripes and a leopard print clutch is perfection. This lovely little toggle coat and holiday inspired blanket scarf are the perfect accessories for wherever the cheery weekend takes you. Wishing you the merriest and thanks so much for reading!